What are the type of personalised strategies that iWealth would recommend? We have established that iWealth will help you learn if your wealth is growing fast enough to achieve all your financial goals in the previous section. However, the benefits of using iWealth don't just stop there. You will be given the tools and means to accelerate the growth of your wealth. 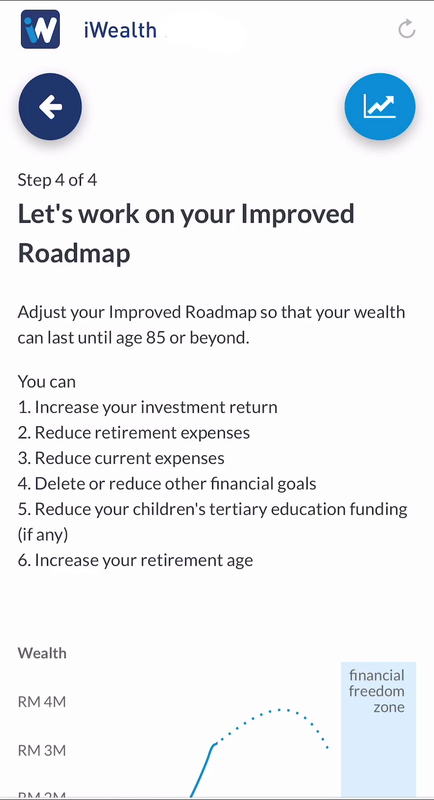 For every single change or changes that you make, iWealth would show you an updated Roadmap to Financial Freedom. Therefore, you can choose to change one or some of the strategies that iWealth has recommended. The objective is to find the right combination of strategies that would enable your wealth to grow and last until age 85 or beyond. Or, you can try different combinations until you get your most optimal version. 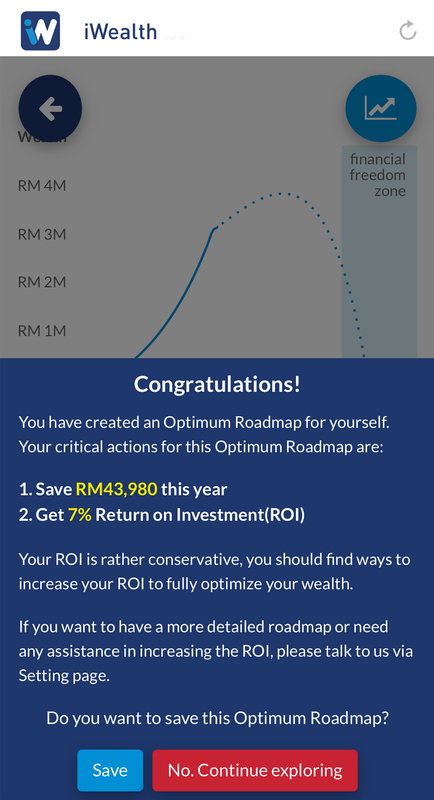 That is what we call your Optimum Roadmap to Financial Freedom. 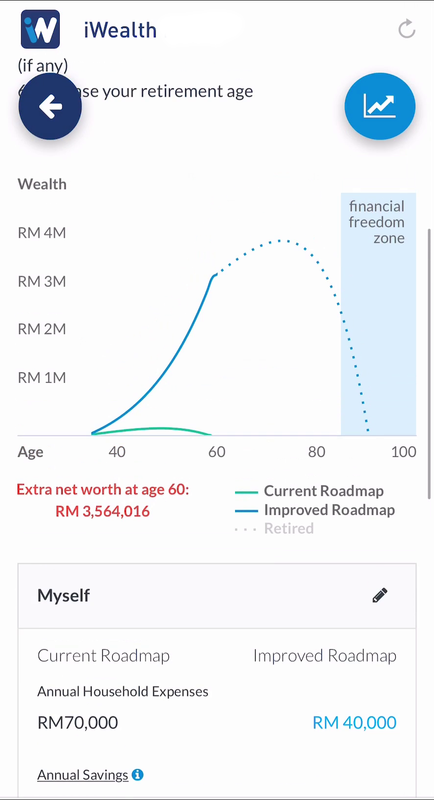 Based on your personalised Optimum Roadmap to Financial Freedom, iWealth would tell you the exact savings amount and return of investment that you would require in order to achieve financial freedom. You would then have the choice to act on these recommendations on your own and see yourself closer to achieving financial freedom.